Dr. Kimberly Bahr was born in Jamestown ND. At three years of age her family moved to the Black Hills. She graduated from Sturgis High School in 1994. 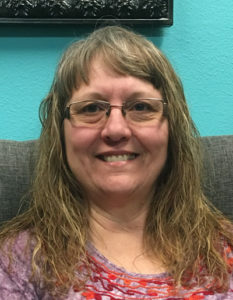 After receiving her bachelors degree from Black Hills State University in 1998, Kimberly managed her family business in Rapid City for five years. In January of 2004, Kimberly pursued her dream of becoming a chiropractor. Dr. Bahr had experienced the benefits of chiropractic care as an undergraduate for lower back pain. She received her chiropractic degree in December of 2007 from Cleveland Chiropractic College in Kansas City, MO. While attending chiropractic school, Kimberly attended 15 post graduate seminars in pediatrics and pregnancy with the International Pediatric Chiropractic Association. After graduation, Dr. Bahr completed 80 hours of Cranial Sacral Therapy training with Dr. Carol Phillips. Advanced Allergy Therapeutics was added to Dr. Bahr’s practice in August of 09. Dr. Bahr was introduced to Biofeedback and BrainCore Neurofeedback in January of 2013. After her son experienced tremendous gains in speech from Neurofeedback therapy, Dr. Bahr added BrainCore Neurofeedback to her practice that same year. Dr. Bahr has been in practice in Rapid City, SD, since June of 2009. She looks forward to meeting you and your family to help you achieve optimal health. Dr. Sammi Tivis was raised in the small town of Faith, SD. She graduated from FHS in 2002 and participated in multiple high school sports and academic activities. She attended Northern State and Black Hills State Universities and graduated in 2006. While finishing up her bachelor’s degree and trying to figure out what to do with that degree, she thought back on the types of healthcare she had seen and experienced. Chiropractic seemed like a great fit for her- conservative in nature, self-healing and optimizing, positive responses to treatment and experiences. She had witnessed the beneficial care for migraines, sports/life injuries and later stress induced headaches and muscle tension. Sammi attended chiropractic school in Portland, OR at Western State Chiropractic College and graduated in 2009. She has practiced and filled in as a chiropractor in Rapid City since graduating. Her continued education has led her to studying for her acupuncture certification. Learning and education is never complete, so she is eager and willing to find answers to questions you may have regarding your health. She is ready to get to work with Dr. Bahr and assist in other services offered at the clinic. She is excited to be actively treating all ages to attain greater health and wellness for each individual that she treats. In her personal life, Sammi’s toughest job over the past 6 years has been raising her 3 boys with husband, Derek. Their lives are filled with nerf guns, dinosaurs and energy at all times. In addition to managing the office, Kristi also handles all of the insurance and billing needs of the office. Born in Watertown, SD, and raised in Waubay, SD, Kristi moved to Yankton, SD, in Oct of 1987 , where she had a home daycare. In 1993 her family moved to Pierre, SD, where she once again had a home daycare for 16 years. She also worked for the local paper in Pierre and did the layout for the ad department. In 2009 Kristi and her Husband moved to Rapid City where she started working for Bahr Chiropractic Wellness Center. In her free time she enjoys doing outdoor activities and spending time with her husband, 2 sons, and daughter in laws and her 3 grandsons. If you have any insurance/billing needs you can contact her at kristi@bahrchiropractic.com or call the office at 605-399-2273. Tammy trained at Cortiva Massage Institute in Tuscon, AZ, graduating in May of 2009. Tammy focuses on therapeutic modalities, specializing in deep tissue, myofascial injury due to accidents, and pre/post natal. Tammy formulates each session to what the client needs in order to achieve their goals. Tammy’s experience spans from working with clients diagnosed with fibromyalgia, arthritis, scoliosis, chronic pain to total relaxation and athletes. Tammy looks forward to assisting you on your optimum health journey. Ask about new client discounts.